The last week of March means the final stretch of our Read-a-thon … sponsor sheets and contributions will be collected starting Monday, April 2. If you need a replacement sponsor sheet, there are some extras available at the EVCS office, or, to save you the four-flight hike, you can download one right here. Reading, of course, should be a part of home-time for all our children. The Read-a-thon is meant to draw attention to that work and give our kids a specific feeling of accomplishment around it. 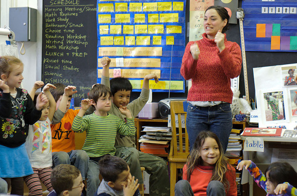 As a fundraiser, the Read-a-thon is a way to help our kids learn about how some of their favorite programs — theater, music, and Spanish — are paid for. Spring Gala Save the Date: Cinco de Mayo! Our biggest fundraiser of the whole school year is coming up soon. This year’s Spring Gala will be held the evening of May 5. Book your babysitters now! The March PA meeting will be full of important business. We’re looking for volunteers to help pull together our big Spring Gala, we’ll be discussing the importance (and controversy) of testing in the older grades, and we’ll need to form a nominating committee to start thinking of officer candidates for next year’s PA. Please join us in the auditorium on Wednesday right after drop-off. This week Allison Gordon dropped by all the classrooms to see how everyone is doing with the Read-a-thon. She was thrilled with the enthusiastic responses from students who are reading and getting sponsors! If you haven’t had a chance to do so yet, please take a few minutes this weekend to go through the Read-a-thon materials with your child, and help them ask friends, family members, and neighbors to support our school. And since they are all probably reading every day, just remind them (or help them) keep track of their books or reading hours on the sponsor sheet. There are just 2 more weeks in March — so let’s get our children excited about reading and about helping to raise money for programs that they love in school! Today your child will be coming home with the materials for the Read-A-Thon. Please be on the lookout for these and help your child find a safe place to keep the octopus sponsor sheet and the envelope for collecting donations. You’ll find instructions for the Read-A-Thon on the back of the sponsor sheet — and at the bottom of this post. Also, inside the envelope you will find a bookmark and stickers to help reinforce your child’s progress. And remember, this fundraiser will go directly to the EVCS Parent Association to help pay for Music, Spanish, and Theater. 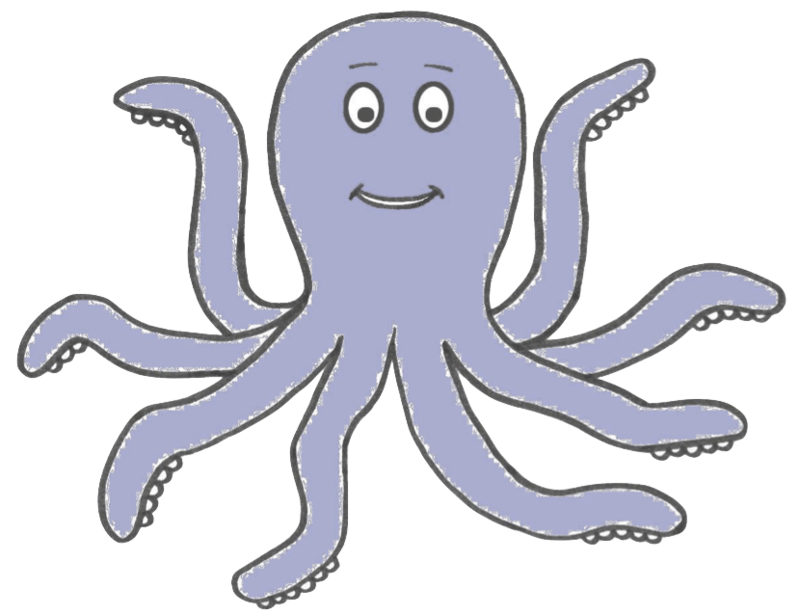 During the month of March your child will read 10 books (for Pre-K to 2nd Grade) or for 10 hours (for 3rd to 5th grade) and record it on the Octopus sponsor sheet. Students will try to find sponsors to donate $1 per book / hour, which equals $10 from each sponsor. The sponsor will sign one arm of the Octopus. Try to fill all 8 arms! (Ask your child’s teacher for more Octopuses if you have more than 8 sponsors). Go to the library — have reading time there or take books home. Encourage your child to read a little bit every day. Help your child ask relatives, neighbors, work colleagues, friends, local businesses, etc. to be sponsors. Explain to your child that we are raising money for Drama, Spanish and Music in school. Please use the envelope you received to save the money your child collects. Inside the envelope, you will find a bookmark and stickers. Please reward your child with a sticker on his/her bookmark for every book/hour completed. Money and octopus sponsor sheets will be collected at the end of March.